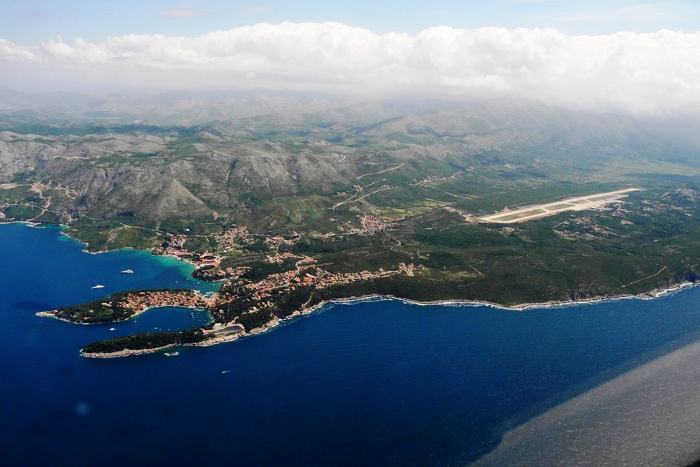 We will collect you from Dubrovnik Airport and transfer you to Mostar which will be our base for next 7 days. 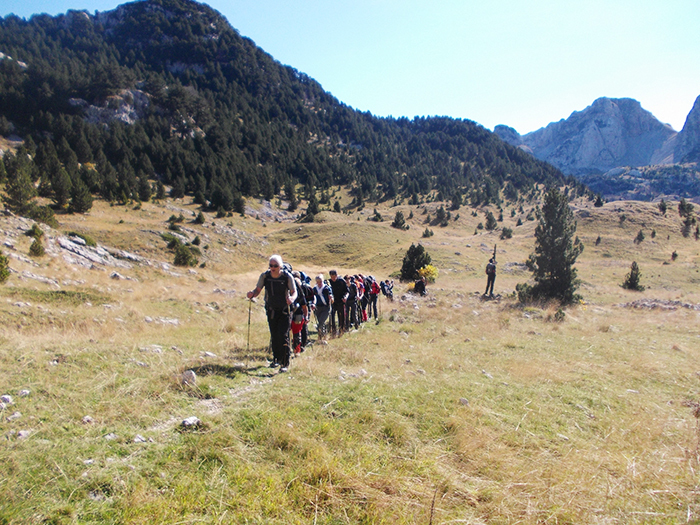 On the way to Mostar we will visit Popovo Polje Karst Field. 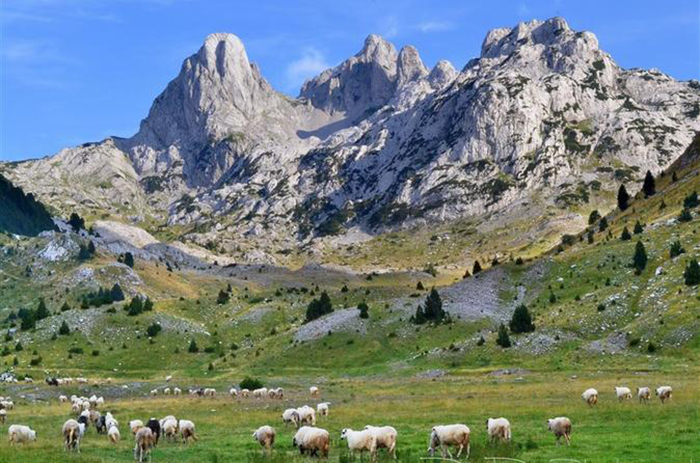 Almost all of Herzegovina is made up of arid limestone, known as karst. 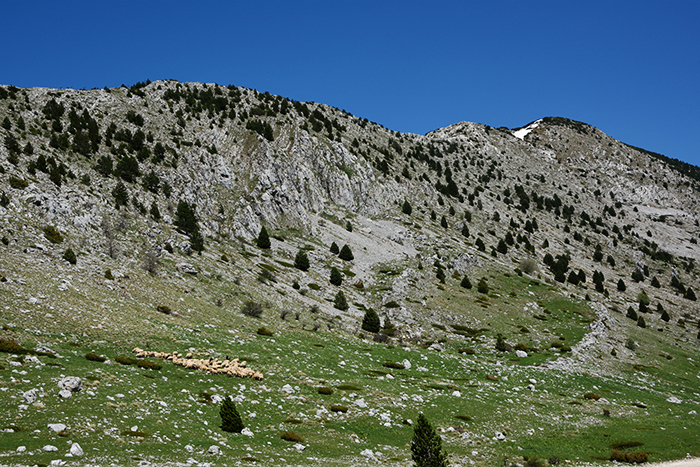 In this area, the only land suitable for cultivation are small depressions, karst fields, between barren mountains. 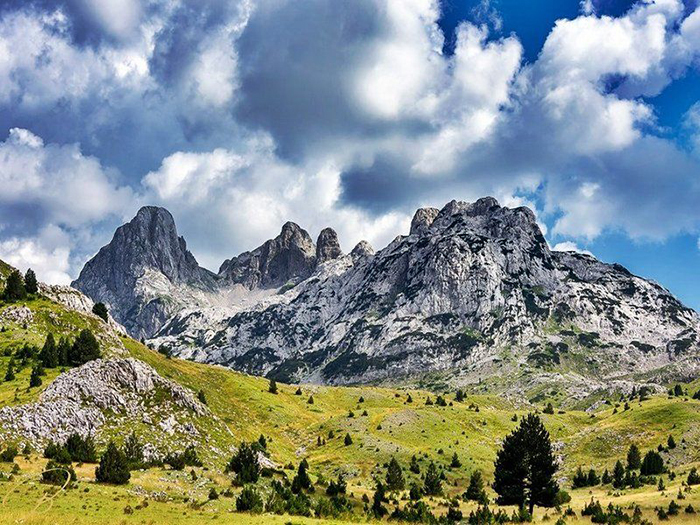 The limestone karst fields of Herzegovina are amongst the largest in the world, creating amazing water sources and underground aquifer systems and caves. 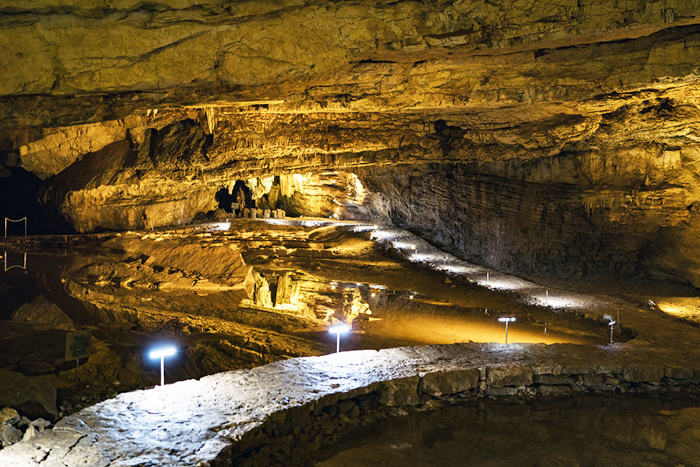 With over 6 km of passageways, the Vjetrenica Caves are the largest in Bosnia and Herzegovina. 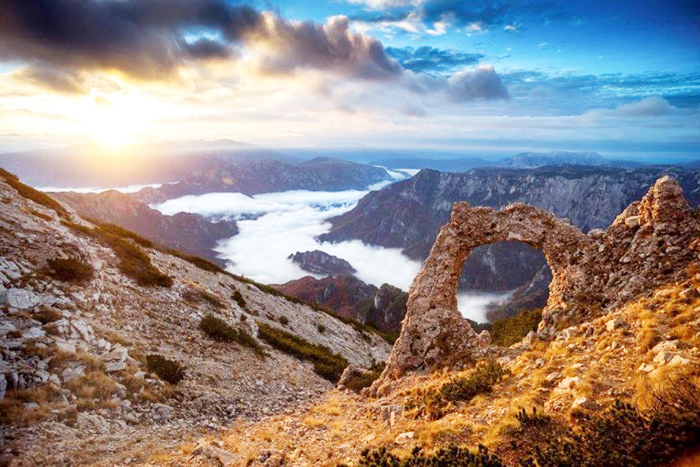 They are located in the Popovo Polje valley, and are named for the cold air which blows from the entrance in the warmer parts of the year (Vjetrenica means "wind hole"). 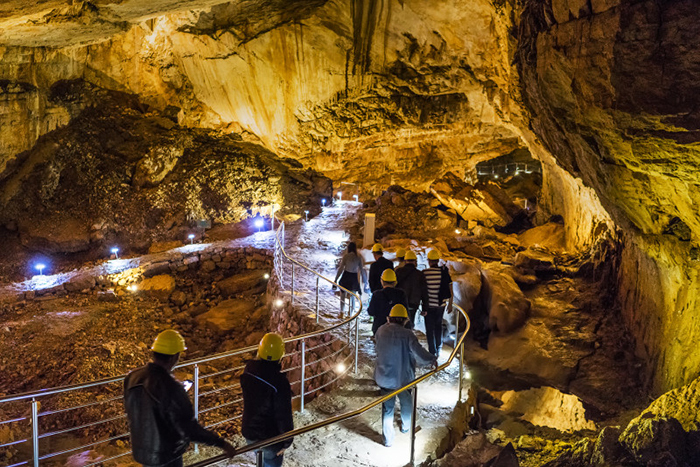 The cave houses the large subterranean biodiversity with over 200 species ranging from cave-dwelling fish and insects to shellfish that only survive in underground systems. 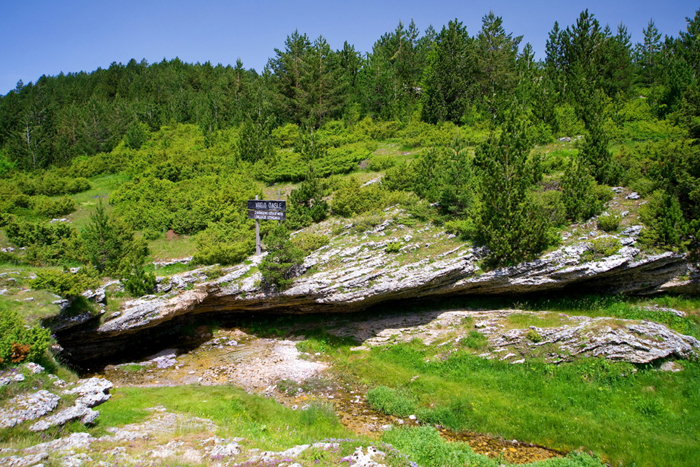 Vjetrenica also has ancient cave drawings of bears and leopards estimated to be over 10,000 years old. 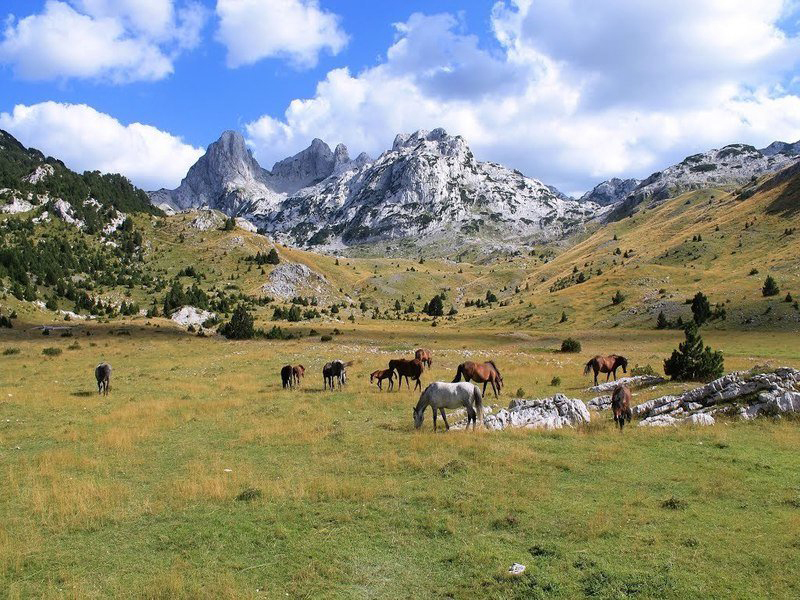 Popovo Polje Karst Field - In Southeastern Europe, large agricultural basins surrounded by dry mountains fill up at regular intervals with water and become huge water lands. 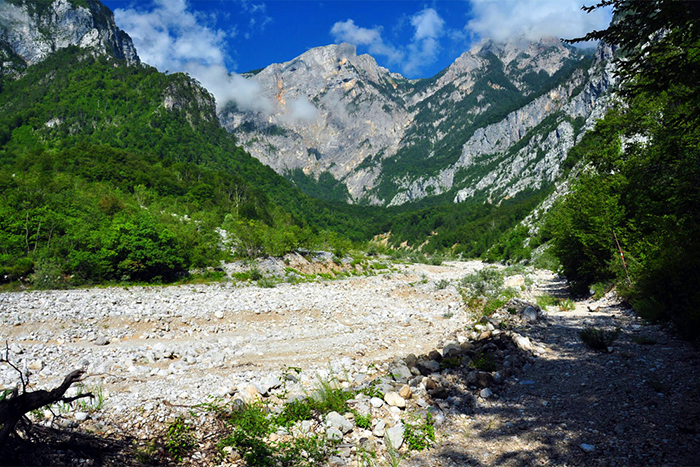 There are around 140 such karst fields in the Dinaric region, stretching from Slovenia to Albania. 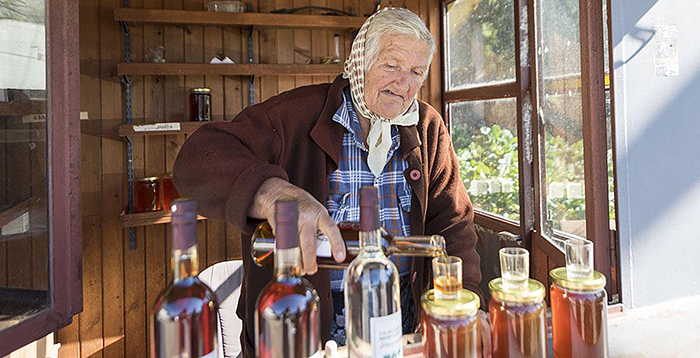 We will visit Baba Olga to sample some of her local produce - wild honey and grappa infused with honey and wild local herbs. 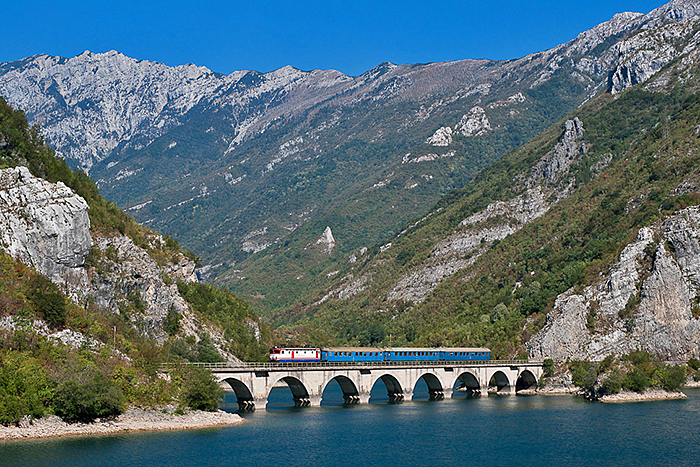 On the way to Mostar we will have a short stop to visit Radimlja necropolis - one of the most important mediaeval monuments in Bosnia and Herzegovina. Appearing in the mid 12th century, with the first phase in the 13th century, the tombstones reached their peak in the 14th and 15th century, before disappearing during the Ottoman occupation in the very early 16th century. 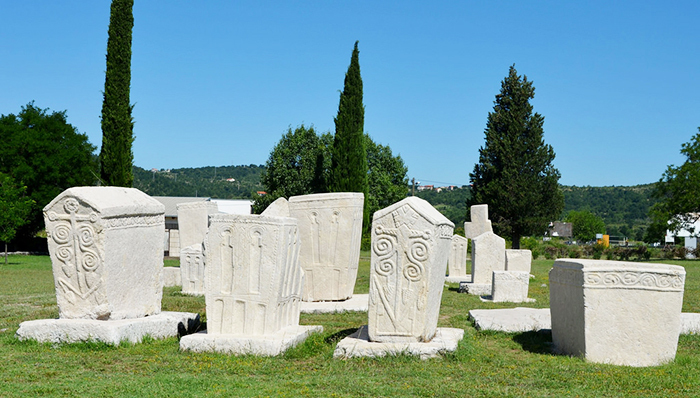 Tombstones (stećci) where build by Bogumils - people belonging to The Bosnian Church in medieval Bosnia that was independent of and considered heretical by both the Roman Catholic and the Eastern Orthodox hierarchies. Arriving in Kostar around 5:30 pm. After a quick check-in, you can settle into your room. 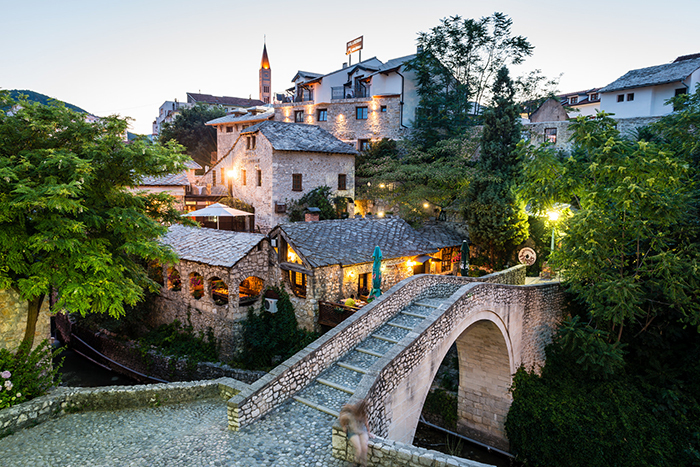 Dinner will be served in a lovely restaurant in the historic quarter of Mostar, just 50 m from the Old Bridge. 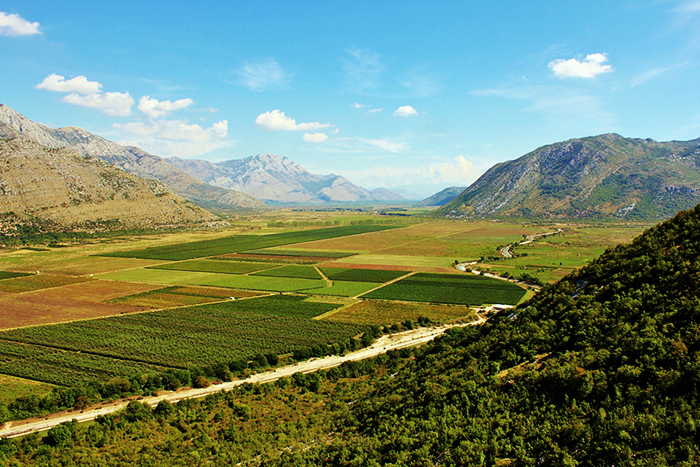 The restaurant serves wide range of traditional dishes and wines from Herzegovina and Dalmatia, and has a fantastic view of the river Radobolja - Neretva tributary. 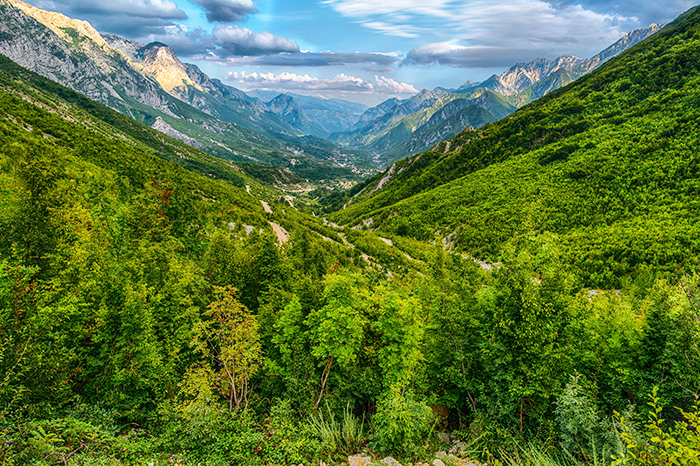 The long chain of the Dinaric Alps, stretches from northwest Croatia through the heart of Bosnia and Herzegovina and into Montenegro, finishing on the Albanian border. 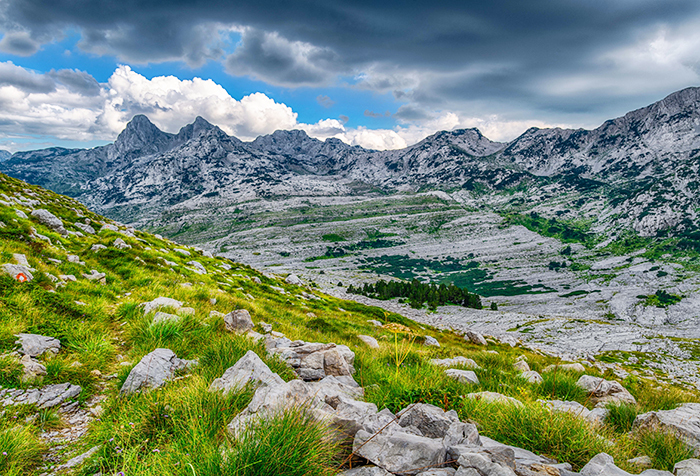 Herzegovina and eastern Bosnia host the highest and wildest of this mountain range. 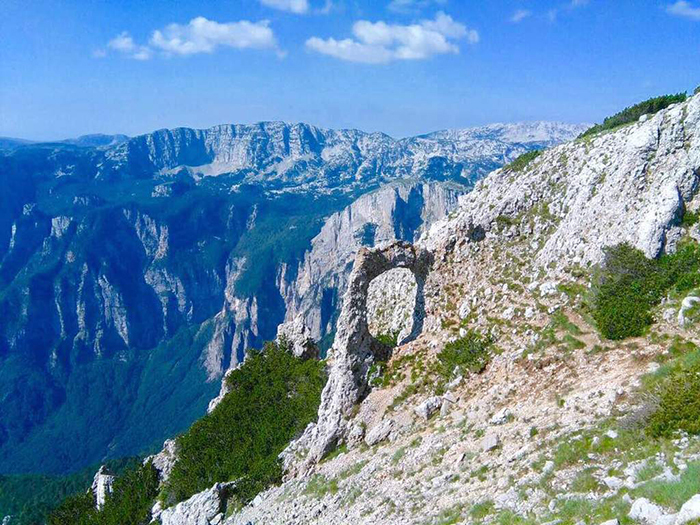 Over the next two days we will take an unforgettable hike through Prenj mountan near Mostar - the most beautiful, wild and attractive mountain in Bosnia and Herzegovina. 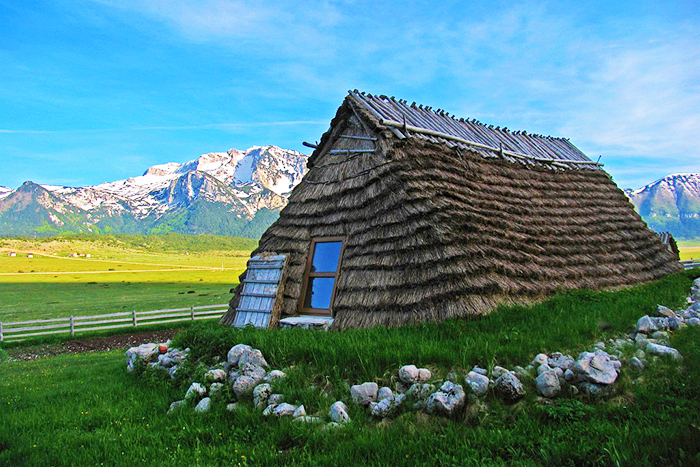 It is located at the heart of Dinaric Alps, in the northern part of Herzegovina region. 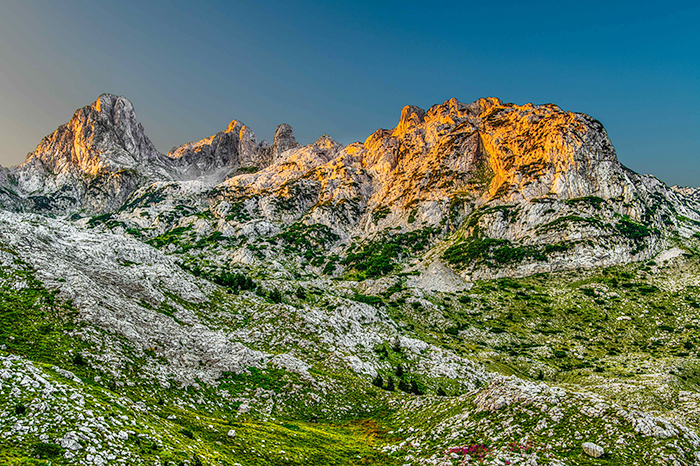 It has been called the "Herzegovinian Himalaya" by numerous mountaineers. 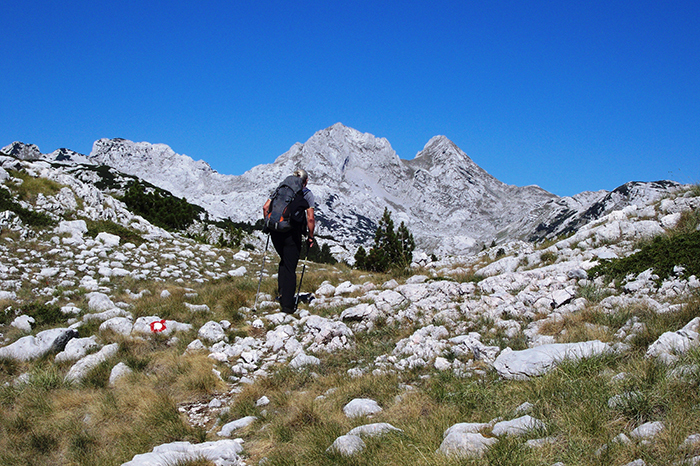 Instead of hiking we will visit various interesting locations in Herzegovina, do some sightseeing and meet local people. 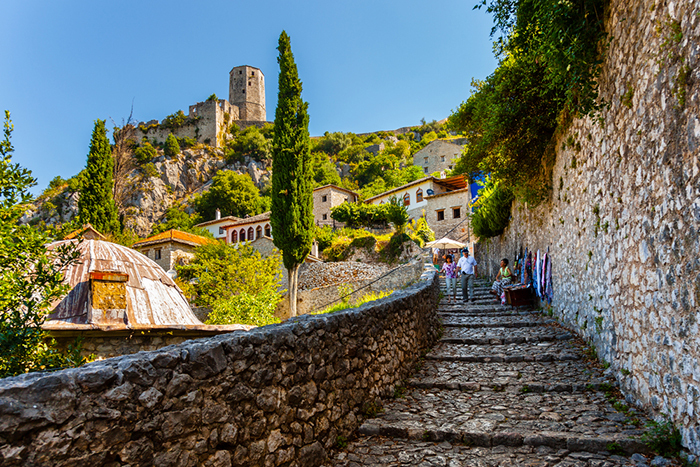 Medieval village of Blagaj - Tekke and a source of river Buna. 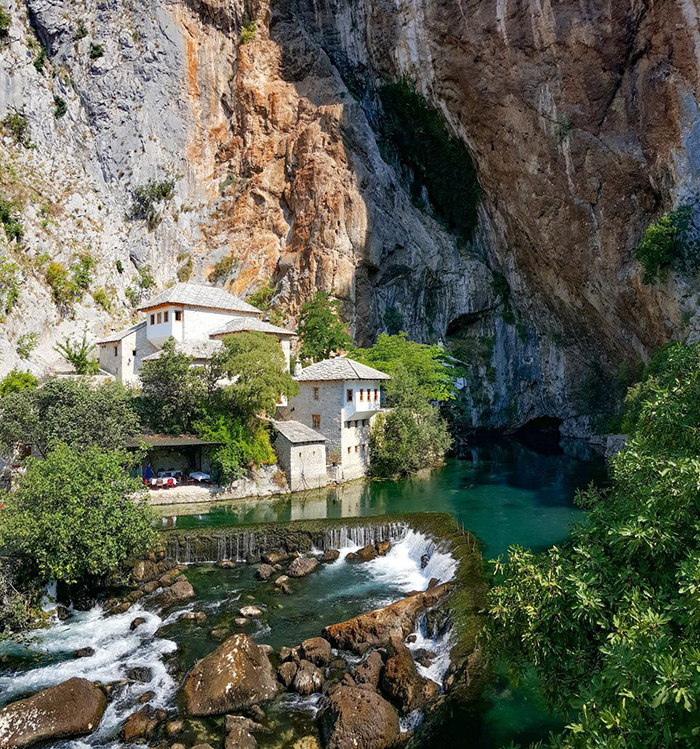 Blagaj Tekke (Dervish monastery) – a place where history, architecture and natural environment blended and created one of the most unique and mystical sites in all of Bosnia and Herzegovina. Tekke was built around 1520 with elements of Ottoman architecture and Mediterranean style. 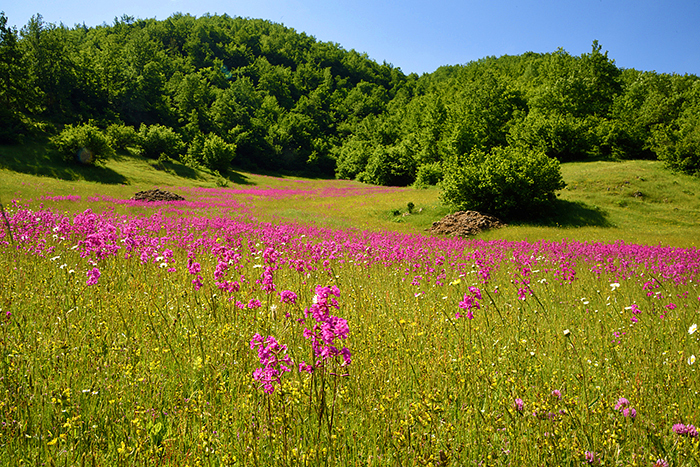 It was founded by dervishes of Bektashi order. 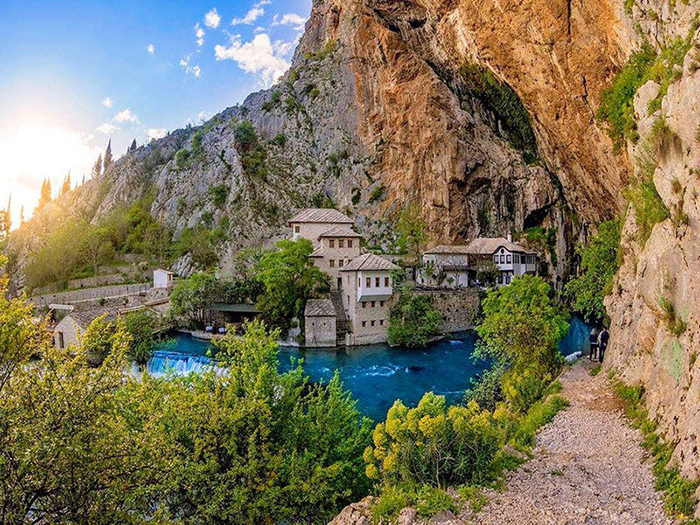 Although it became a known tourist attraction, Blagaj Tekke still kept its original purpose, as holy and religious place. 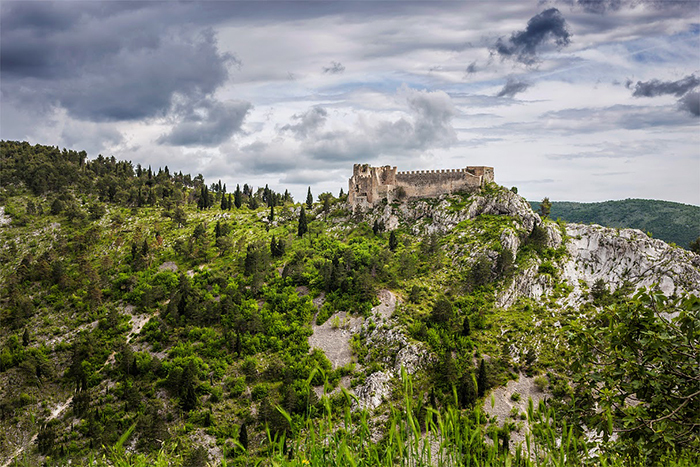 On top of Blagaj there is an old Blagaj Fort (Stjepan grad) standing on the edge of the karst hill with magnificent view on surroundings. 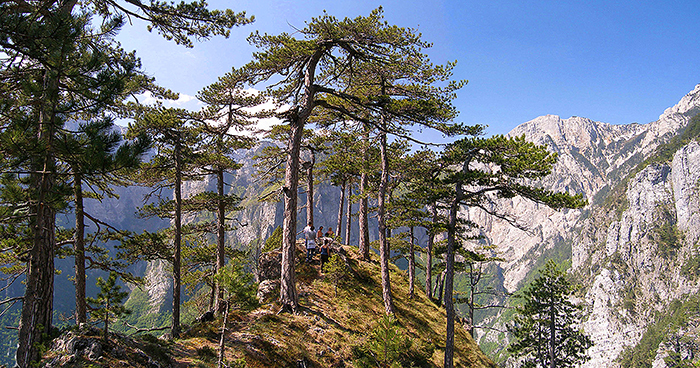 The fort was the seat of Herceg Stjepan Vukčić Kosača (1404–1466), a member of the Kosača noble family. 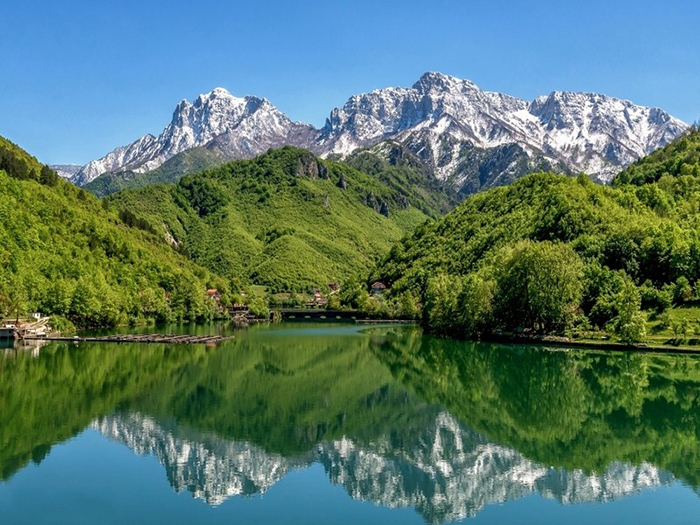 After him the whole region was named Herzegovina. 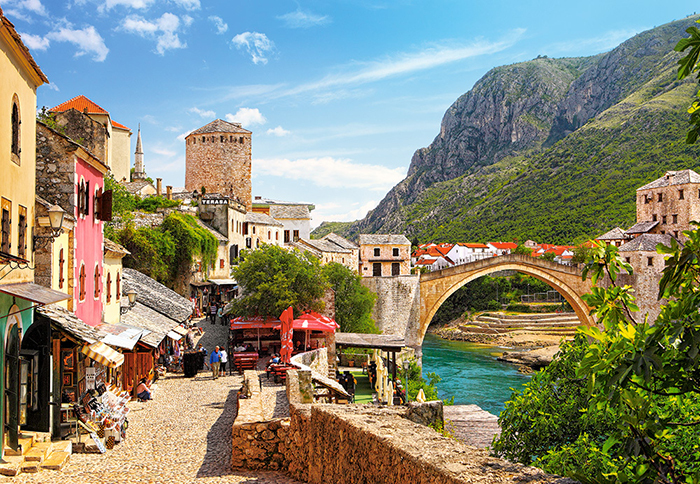 After Blagaj we will visit medieval village of Počitelj. 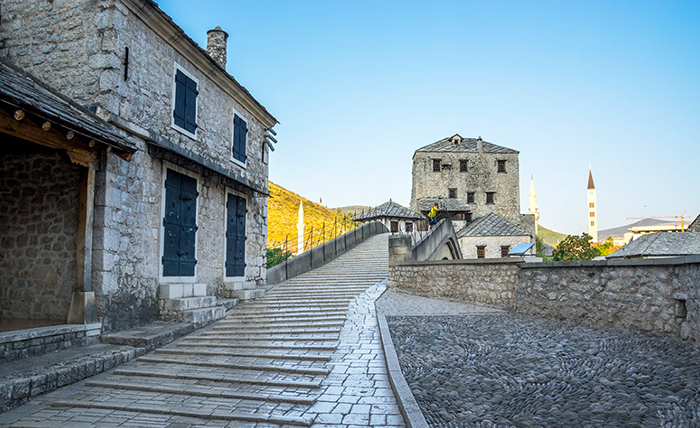 The stepped medieval fortress village of Počitelj is one of the most picture-perfect architectural ensembles in the country. 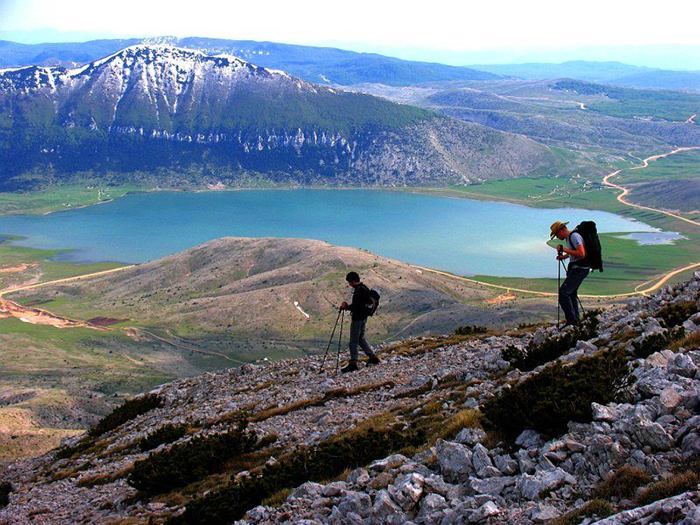 Cupped in a steep rocky amphitheatre, it's a warren of stairways climbing between ramshackle stone-roofed houses and pomegranate bushes. 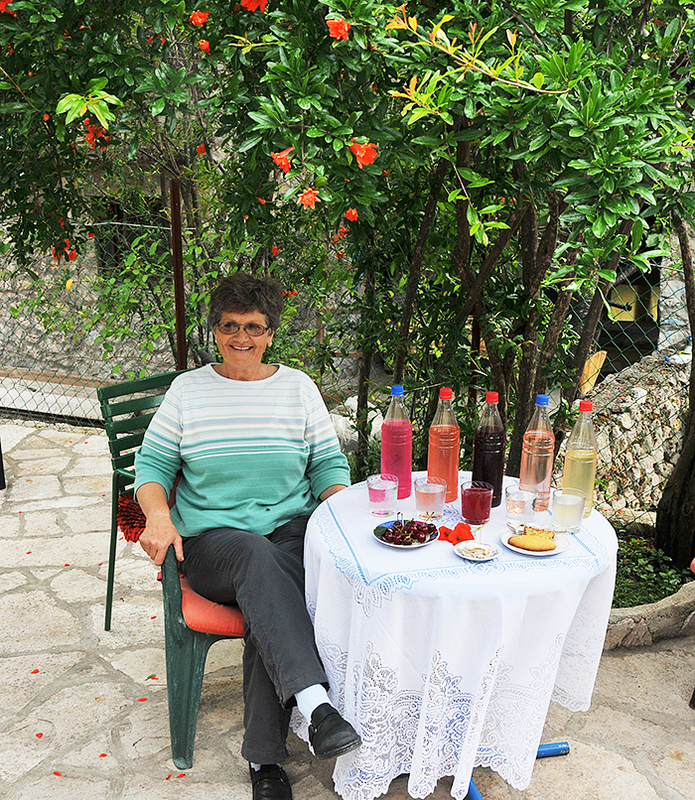 In Počitelj we will visit local lady Sevdija and sample her homemade juices made out of wild sage, pomegranate, mint, rose and elderflower . 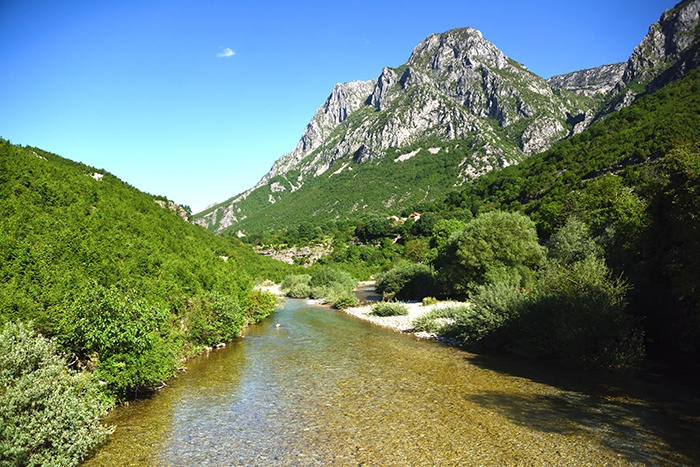 Kravica waterfalls. 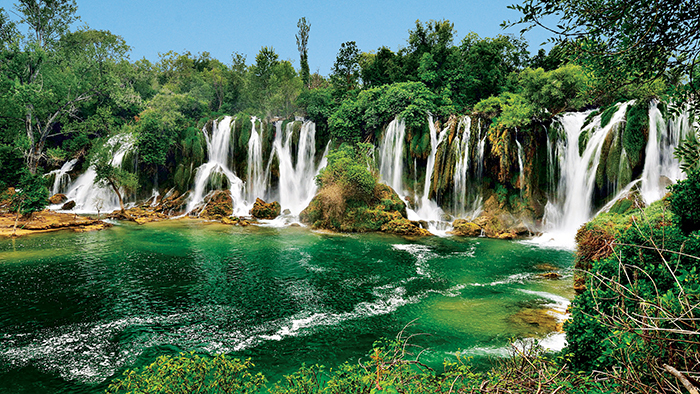 Plunging from cliffs as high as 25m into a natural, watery amphitheater that is almost 120m across, the series of waterfalls at Kravica are nestled in a natural reserve southwest of the city of Mostar. 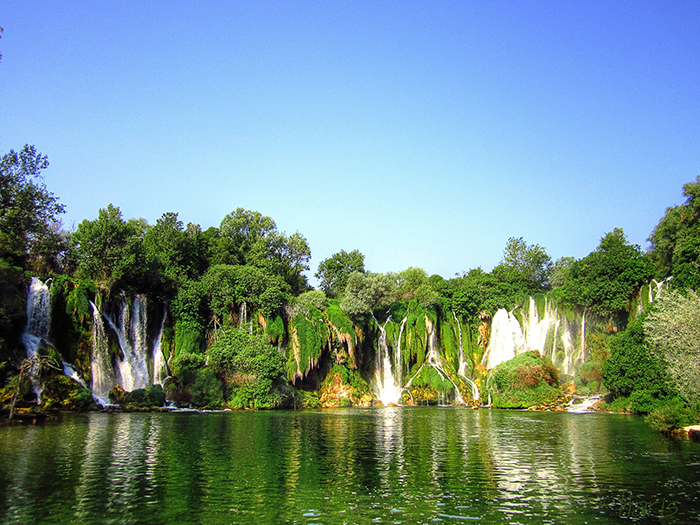 This is one of the largest waterfalls in Herzegovina and certainly the most beautiful one. 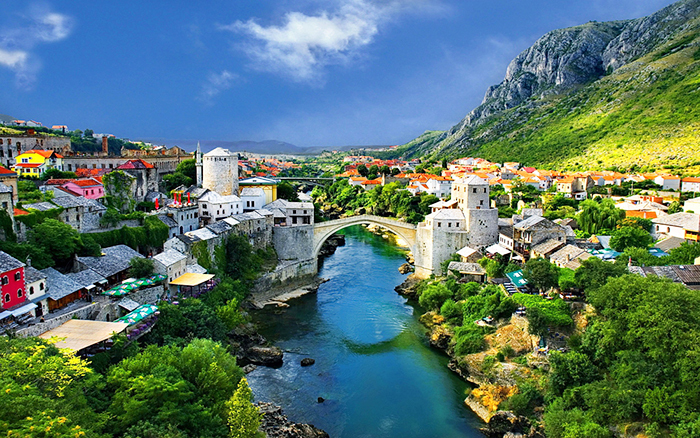 We will spend afternoon exploring historical Mostar Old Town. 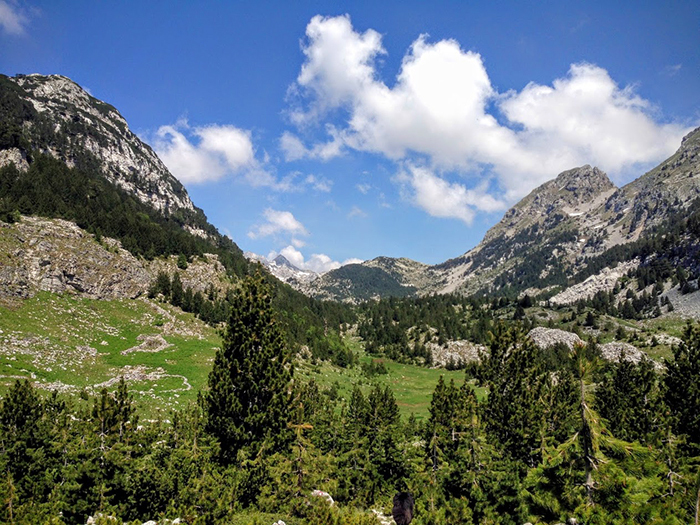 Blidinje Nature Park is a visually stunning environment. 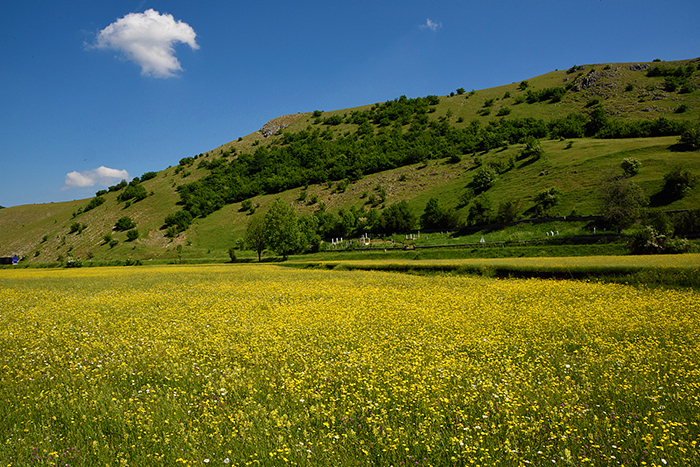 It is located on a large area of three mountain chains Čvrsnica, Čabulja and Vran. 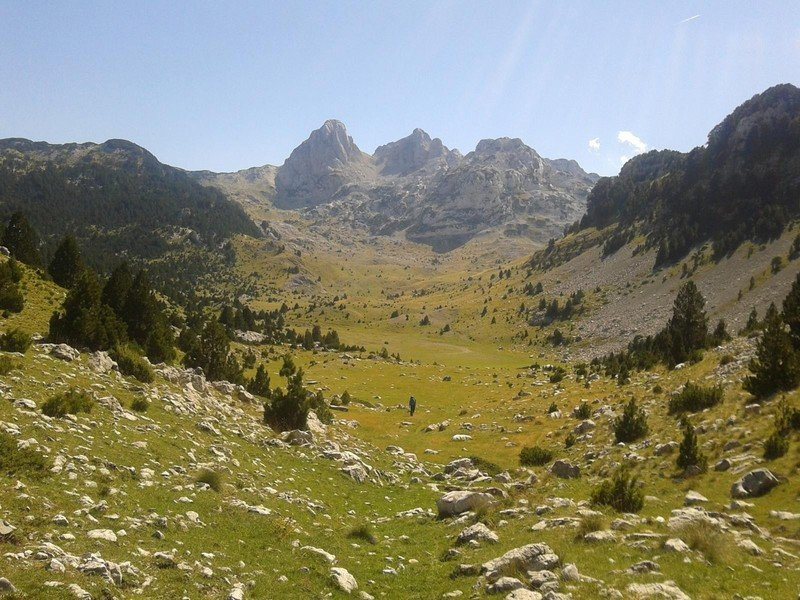 This park is a unique natural phenomenon, that includes many endemic species of flora and fauna with a lot of sources of clean, drinkable water. 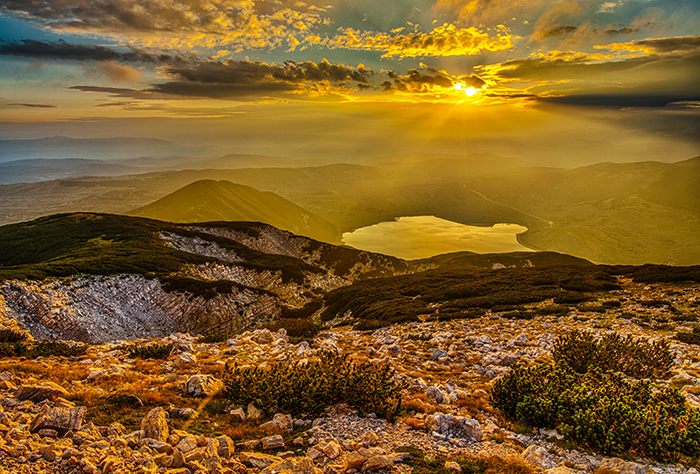 This Nature Park was named after Blidinje Lake, located at the bottom of the place called Dugo Polje at a height of 1184 meters above sea level. 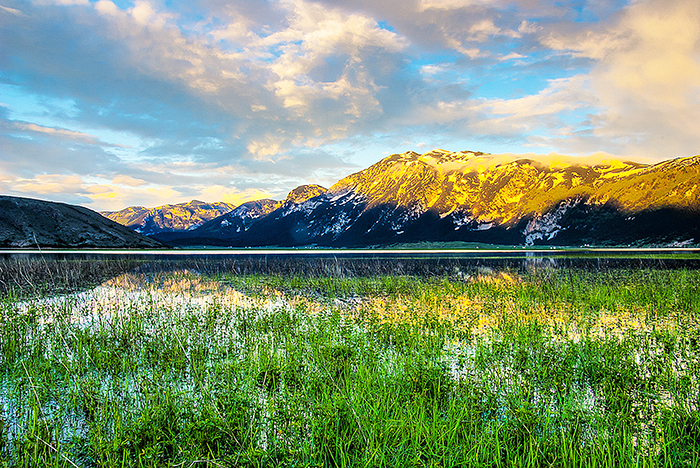 The lake is a direct result of a glacial retreat, spread on six square kilometres with a relatively shallow depth. 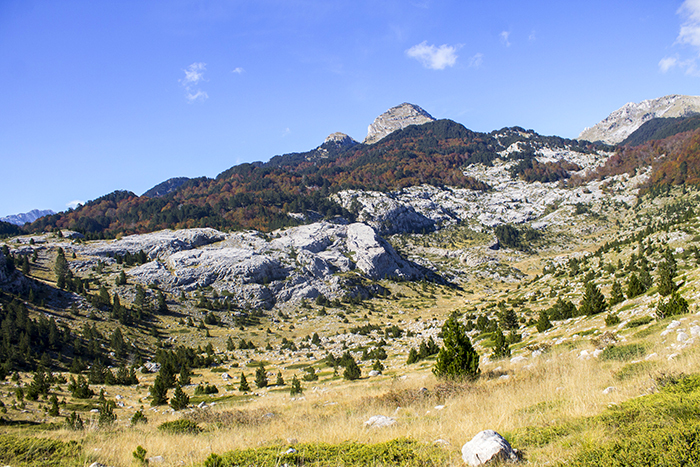 Čvrsnica mountain and Blidinje lake. 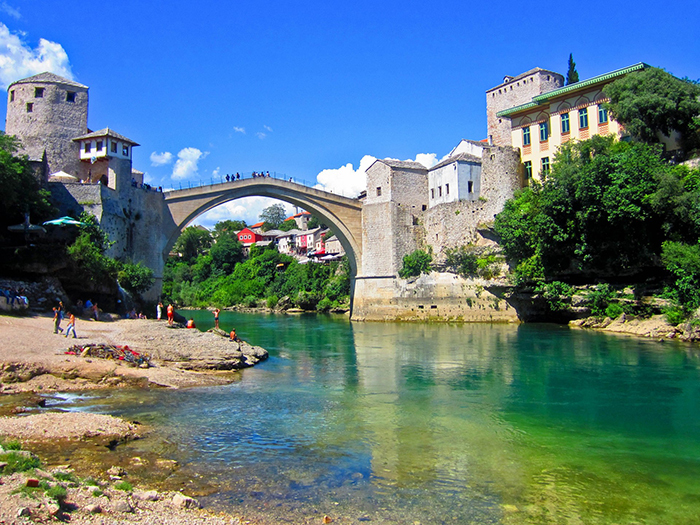 Leaving Mostar early in the morning, in good time to catch flight home to UK.